They still remained open! They had to keep up civilian morale. This is only a fraction of what showmen went through, but still they kept going. How did they survive all this? 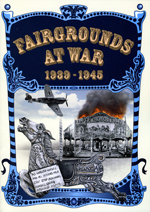 With information that’s never been printed before, this book will tell the young showmen of today what they never knew about the past."